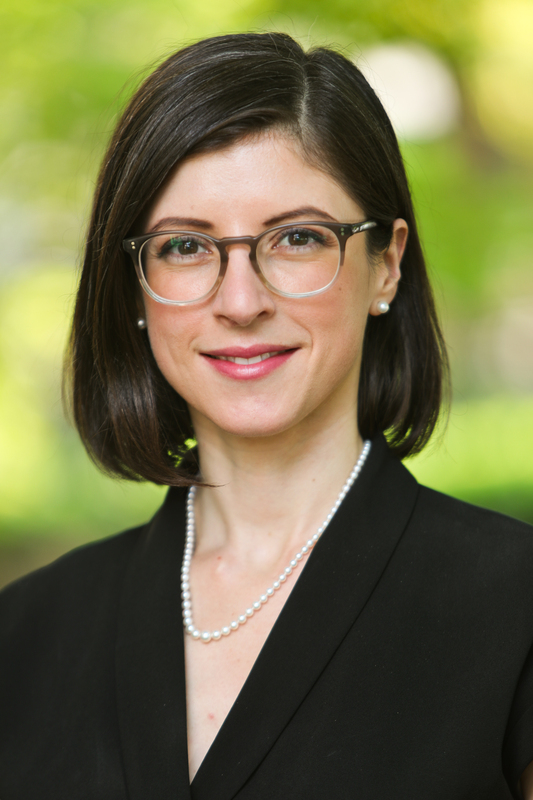 Alina Polyakova is the David M. Rubenstein Fellow in the Foreign Policy program's Center on the United States and Europe and Security and Strategy team at the Brookings Institution and adjunct professor of European studies at the Paul H. Nitze School of Advanced International Studies (SAIS) at Johns Hopkins University. She specializes in Russian foreign policy, European populism, and U.S.-Russia-Europe relations. Polyakova's recent book, "The Dark Side of European Integration" (ibidem-Verlag and Columbia University Press, 2015) examines the rise of far-right political parties in Western and Eastern Europe. Polyakova is a frequent contributor to the Washington Post, The New York Times, Wall Street Journal, Foreign Affairs, Foreign Policy and commentator in major media outlets including Fox News, BBC, and Bloomberg. Previously, she served as director of research and senior fellow for Europe and Eurasia at the Atlantic Council, professor of sociology at the University of Bern, and Fulbright Fellow. She serves on the board of the Free Russian Foundation and is a term member of the Council on Foreign Relations. She has also held numerous fellowships from the Woodrow Wilson International Center for Scholars, the National Science Foundation, and the Swiss National Science Foundation. Polyakova holds a doctorate from the University of California, Berkeley, and a bachelor's in economics and sociology with highest honors from Emory University. She speaks Russian and German. Alina Polyakova is the David M. Rubenstein Fellow in the Foreign Policy program’s Center on the United States and Europe and Security and Strategy team at the Brookings Institution and adjunct professor of European studies at the Paul H. Nitze School of Advanced International Studies (SAIS) at Johns Hopkins University. She specializes in Russian foreign policy, European populism, and U.S.-Russia-Europe relations. Polyakova’s recent book, “The Dark Side of European Integration” (ibidem-Verlag and Columbia University Press, 2015) examines the rise of far-right political parties in Western and Eastern Europe. Polyakova is a frequent contributor to the Washington Post, The New York Times, Wall Street Journal, Foreign Affairs, Foreign Policy and commentator in major media outlets including Fox News, BBC, and Bloomberg. Polyakova holds a doctorate from the University of California, Berkeley, and a bachelor’s in economics and sociology with highest honors from Emory University. She speaks Russian and German. Russia is not a partner, it's not a friend, it's an adversary...This is not a country we need another reset with, this is not a country that shares any of our interests...in fact, U.S. interests are completely opposed to what the Russians want to see in the world, which is a decline in U.S. power. The big question is how to get citizens, in all democracies, to discern between content that's meant to manipulate you and independent reporting. The political will isn’t there to push as hard as they’d have to to convince the oligarchs Putin can’t guarantee the security of their assets...if they do go so far...there are second- and third-tier knock-on effects because of Russia’s integration into the global economy. The Kremlin sees conspiracies everywhere primarily because they don’t believe in the idea of independent media or civil society...This is how the Russian government justifies its very real interventions in the U.S. and other democracies.